Holy Moly! There are 16 matches on this card for WrestleMania. There is a lot going on and I don’t even know if I can keep up with it! But it’s that time of the year and we are going to see my predictions and if any of it makes any sense. – Asuka, Carmella, Naomi, Lana, Mandy Rose, Sonya Deville, Nikki Cross, Dana Brooke, Ruby Riott, Liv Morgan, Sarah Logan, Mickie James, Zelina Vega and more. Last year Naomi won and they didn’t do much with that. It’s hard to make anything out of this as it has received little promotion leading up to WrestleMania. This is just an attempt to get all the women talent their time on TV and some NXT stars some shine. I doubt any NXT star is going to surprise us and win. We may see some women from the Royal Rumble compete in this but to me it comes down to two women: Asuka and Carmella. Both need a win to get their career trajectory back on track. Asuka has been misused by WWE in her last title reign and this might help keep her in the picture. Carmella has been off the women’s title picture for a bit and maybe a win here could get her to the top. She’s had a fun gimmick with R-Truth but Carmella winning will get her back to where she needs to be. – Braun Strowman, Colin Jost & Michael Che of SNL fame, Andrade, Apollo Crews, Titus O’Neil, Tyler Breeze, Jinder Mahal, No Way Jose, Bobby Roode, Chad Gable, Kalisto, Gran Metalik, Lince Dorado, Bo Dallas, Curtis Axel, Heath Slater, Rhyno, Viktor, Konnor, Ali, Shelton Benjamin, Luke Gallows, Karl Anderson, Matt Hardy, Jeff Hardy, Otis, Tucker, EC3 and more. All this hype for Braun Strowman’s beef with the SNL guys makes me believe that this leads up to Strowman winning (and tossing them out instantly with his strength). Why not? Who else could take him down? But the more I think about it, the more it makes no sense for Strowman to win after he won the Greatest Royal Rumble. These secondary accomplishments is not what he needs. Even though winning would be a great highlight, I would probably go with someone who could run with it. A fresh face. I think this might go to EC3. He has been slowed down since his WWE main roster debut and this would be a great kickstart for him to get back on track. Ever since Buddy Murphy won the title in Australia, he has been a successful champion in his title defenses. But it feels like it has gotten to the point where a new title holder needs to emerge. Not saying Murphy retaining would be bad, but a new champ would be fun. I say give Tony Nese the win to start Mania off with a bang! I assume this may start the show. A quick match that would be great to get people settled. The New York-based tag team should have a great backing against The Revival. This buildup to them finally winning should culminate here and the Edgeheads will find tag team gold. This match probably won’t follow the other tag team match but I don’t know where it would belong on the card. To fortify their transition to WWE’s main roster, Black & Ricochet should win this. The storyline makes sense for them and they would invigorate and add some good fun to the tag team division. This would then breathe some new life as the New Day will be on their own storyline with Kofi’s title push. So this is the farewell match for Kurt Angle and it should mean a victory, right? Nope. This isn’t it. This likely will be a great chance for Corbin to get major heat. Angle gains nothing from a win but if Corbin wins, this would really get him to be the heel that he desires to be. Angle doesn’t need the win and I am sure the veteran in him is willing to sacrifice a storybook ending for the future. Baron Corbin wins. If Rey Mysterio is healthy to compete after his ankle injury suffered last week, I say this could be a very fun match. But Samoa Joe needs a big Mania moment and this could be it. HOWEVER, if Mysterio cannot compete I foresee Andrade and Ali finding their way in as a replacement and either of them could get the big win. If that’s the case, give it to Ali and he could feud with Andrade for a good while. Elias will do his performance and I am sure John Cena will do something by interrupting him, maybe even challenge him to a music battle of some sort. Could be fun. Could be silly. Easy. The Demon is here? Finn Balor wins this one. No reason why he wouldn’t. The buildup for this has been tremendous. Both sides have put together really good promos for this and I actually feel for both sides of the argument. Orton has been a major consistent player at WM and he doesn’t need a win in this situation. But then again, WWE doesn’t like making Indy guys appear better than WWE guys. But AJ Styles should win because his career right now has been floundering and this will give him a good boost heading into the summer. Might be one of the better matches of the night. This has to be The IIconics time to shine, right? The return of Beth Phoenix has to be a one-time deal so we don’t expect her to win. Although it would appear to be real fun to see her back. Jax and Tamina will always have the bully thing going for them so they can still be contenders even without winning. The big one will probably be if the champs retain. To make this title legitimate, a long title run would be great. And these two are more “talented” than the IIconics. But some scheming might make it a loss for the champs. Either way, this could be a fun match. Everything leads to us believing that Reigns would win this. The sympathy of his cancer battle makes this great. But after all these years of Reigns taking the main event spot at Mania, this is a good place for him to be and not win. McIntyre is on a mega rise and it is at this stage he could really rise up by beating Reigns. Give Drew McIntyre the win in this but still offer Reigns a great opportunity to shine on the big stage. There is just no way that Shane wins this. The buildup to this story has made The Miz the biggest face right now. And having to do it to honor his father is just an even better storyline to it. Give this match a big amount of time for these two to travel around the stadium with some crazy Shane moves (as expected) but in the end, maybe it’s Mr. Mizanin who helps his son secure the win. This might be a very entertaining match. Despite what you think of Lesnar, he can still put on great performances in the ring. The build up to this has gotten stale but the feeling is that Seth Rollins has to win this and make the title relevant again. This is the perfect time to make it happen. Batista is 50. Triple H is only a year younger. These two are performing in their final matches ever. Triple H doesn’t need a win and this should be his final match (and according to storyline) and it is fine. Batista coming back on his terms dictates that he wanted to come out and put on a great show one last time. But maybe his terms means that he wants to end it by giving Triple H the win he never got? It could go either way but I feel that Triple H doesn’t need to be in the ring anymore, therefore he should lose and let Batista get the glory in his final match. This match might not be the second to last one of the night. In fact, the way the build up for this has been, it should close the show as everyone expects Kofi Kingston to win. That would be the perfect way to finish this organic rise. But it just feels like WWE might not allow it to be so obvious. But it has to be after the all the subtle hints at past failures of WWE to promote a black champion. There could be a heel turn by Big E as the Internet rumors want to suggest. If it does happen, let it be after the match. That is fine. But Kofi needs to win this. Becky has to win? Right? Yes it should be since that has been the supposed plan when Becky won the Royal Rumble. But the storyline has gotten so messy since then that it has blurred reality and storyline where none of it makes sense. With Ronda reportedly taking a break after Mania, what if she won it and claimed she didn’t care for this “fake” stuff and left. Mega heel heat. That would be great. It comes down to Rousey or Lynch in this situation. Flair seems to be an afterthought and maybe that’s intentional. Ronda Rousey probably wins this but vacates it the next night. That would be a crazy way to end the show. I hope it is a good show! I may not have the order right but who cares? It’s going to be fun! 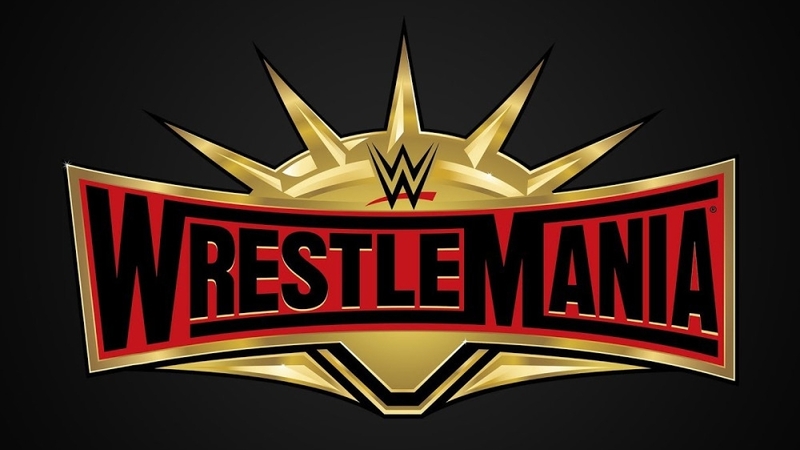 This entry was posted in Uncategorized, WrestleMania, WWE and tagged WrestleMania 35. Bookmark the permalink.